A new report by the FTC says videogames continue to enjoy a higher level of age rating compliance than music or movies, but notes that "emerging technologies" like mobile gaming are going to present new challenges that the industry must address in order to protect children from inappropriate content. 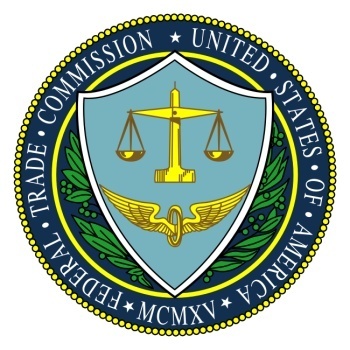 Echoing the findings of previous FTC surveys, the new report says videogame retailers topped their movie and music counterparts when it came to enforcing age ratings, with an overall "denial rate" of 80 percent. Movie theaters managed a respectable second place with a denial rate of 72 percent, while music retailers pulled up in a very distant third, with a brutal 30 percent denial rate. The report also found that the videogame industry shows a "high degree of compliance" with its marketing and advertising rules, although it criticized those rules for allowing game companies to advertise on websites and television shows aimed primarily at children. "The game industry's 45 percent youth audience standard for print and internet advertising obviously allowed marketers to advertise in magazines and on websites with large youth audiences, but it compares favorably to the other industries, which haven't adopted such standards," FTC Chairman Jon Leibowitz said in a statement. In fact, while Leibowitz warned that "it will be particularly important to address the challenges presented by emerging technologies... that are quickly changing the ways that children access entertainment," most of the FTC's criticism is aimed primarily at the movie and music industries. The music industry in particular comes under fire for its half-hearted use of Parental Advisory labels and low rates of compliance with age ratings at retail, while the movie industry takes heat for the growing popularity of "unrated" DVD releases, often hyped by studios, which do not adequately warn parents that they may contain additional violent or adult content. The report calls for a more prominent display of rating labels on videogames and says the industry will need to adapt to address issues created by online mobile gaming and gift cards that allow children to bypass retail-level age restrictions. Overall, however, it strikes a very positive note on the videogame industry's efforts to ensure that children aren't exposed to inappropriate material. "Mobile entertainment may be less familiar to parents - and more difficult for them to supervise - but industry self-regulatory programs must keep up with these business models if they are to work," Leibowitz said. "With the urging of the Commission, I am confident they will."